← The 2nd Walkable Holiday Quiz: Can You Name These NJ Downtowns? Here’s What Will Happen In Princeton in 2017. With 2016 at an end, it’s time to look toward what the new year holds for walkable living and development in Princeton. Every year, we try to guess what will happen in the coming 12 months. Which of our guesses do you think are right, and what else do you expect will happen in 2017? First, let’s review our predictions from last year. About half of them turned out to be right! Prediction 1: New University Campus Plan Will Recommend A New Residential College. The Campus Plan has not been published yet, but President Eisgruber has made it abundantly clear that undergraduate numbers will increase. Score it as a half-point. Prediction 2: Regime Change On The Princeton Governing Body. Yes. Council Member Patrick Simon announced his retirement, and Tim Quinn is replacing him in the first change to Princeton Council since consolidation. Prediction 3: Somebody will complain about the rental price of new Avalon Bay apartments. Yes. “Who pays $2,500 for a studio? !” said one commenter. Prediction 4: Gas tax will go up. Yes, finally. Prediction 5: New Bike Masterplan Will Provoke Protest. No, because the town chose not to finalize its new draft bike masterplan, meaning that there is still no formal plan for bike circulation. Prediction 6: Princeton University Campus Plan Will Endorse Modern Streetcar. Nope. Although the Princeton University Campus Plan was supposed to guide development from 2016-2026, it wasn’t even published by the end of 2016. Prediction 7: New bikeshare stations will open in central Princeton. (likelihood 3/10). Score it as a half-point. Princeton Shopping Center installed a new bikeshare station, but the town has not followed through on its plan to add bikeshare stations downtown, despite receiving a grant to do so in 2015. Prediction 8: ‘Princeton Packet’ will announce plan to move out of Witherspoon Street. This happened (pretty much)! Most of the ‘Packet’s operations have now moved to Manalapan, although some staff stayed in a different building on Witherspoon. Prediction 9: Robert Dodge will be elected to the Princeton School Board. Dodge did not run for the School Board, so we got this one wrong. Prediction 10: Alexander Road Bridge will be washed out in flood. This was a bit of a wild guess, and it did not happen, but a different bridge- on Route 206- did partially collapse. FINAL SCORE FOR 2016: 5/10. Pretty good! Rider University will decide to keep Westminster Choir College in Princeton – If Rider followed through on its idea to sell the site and move the music students to their main campus in Lawrence, it would create a huge redevelopment opportunity in central Princeton. But I don’t see it happening. The whole thing gives the impression of being a ruse to bring attention to the University’s financial distress and get some more donations from alumni. An announcement is coming in the spring, and I reckon the Choir College will stay put. (likelihood – 7/10). ‘Cargot’ French restaurant will open at old Dinky Station – 2016 was a good year for the Princeton restaurant scene, with the opening of ‘Nomad Pizza’ at the Princeton Shopping Center and the ‘Dinky Bar and Grill’ on University Place. 2017 will also be a good year, with the arrival of ‘Cargot’, which will open in a building that used to be part of the old Dinky station, and has been expanded by a recent addition. (likelihood – 8/10). That’s it! Check back in 12 months time to see how we did! Or leave your own predictions using the comments form below! 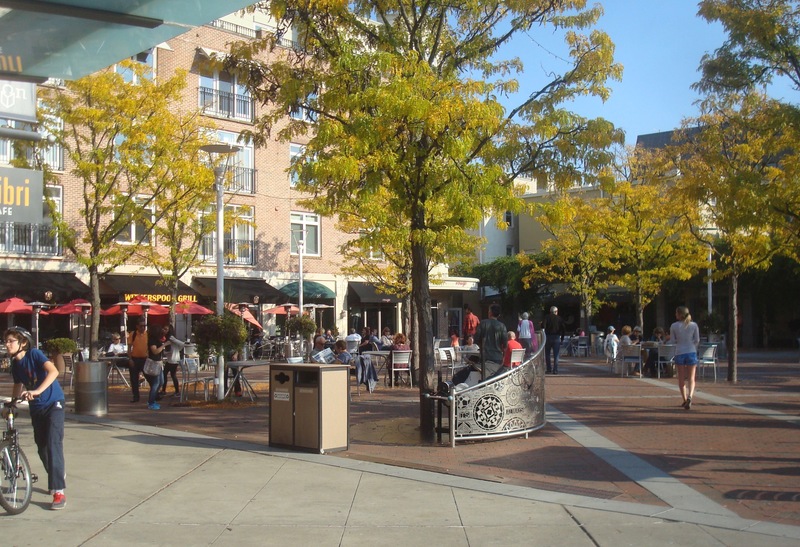 This entry was posted in Affordability, Community, Downtown Vibrancy, Placemaking, planning, Princeton, Sustainability, Zoning and tagged planning, Princeton, restaurants, uber, Zoning. Bookmark the permalink.